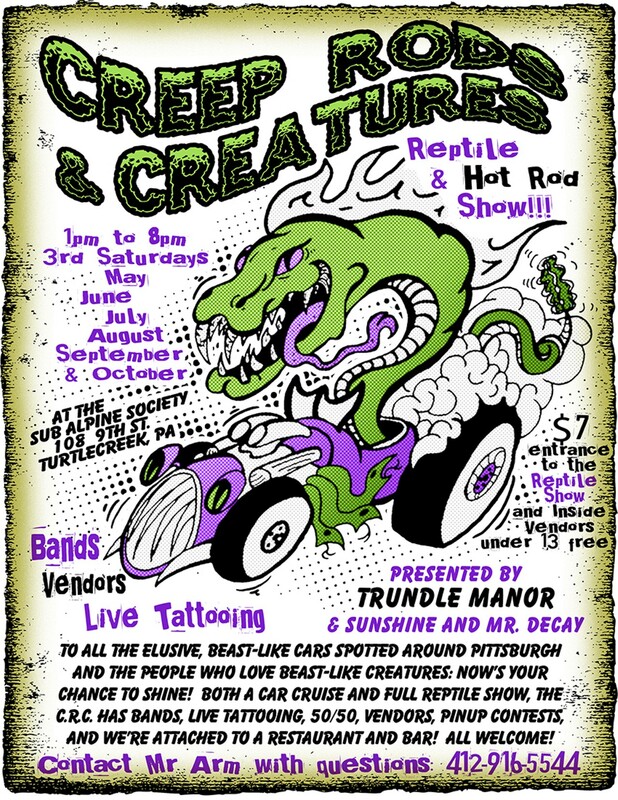 To all the elusive, beast-like cars spotted around Pittsburgh and the people who love beast-like creatures: now’s your chance to shine! 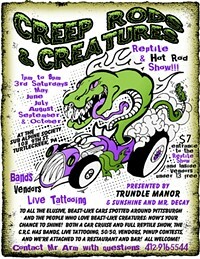 Both a car cruise and full reptile show, the C.R.C. has bands, live tattooing, 50/50, vendors, pinup contests, and we’re attached to a restaurant and bar! All welcome!